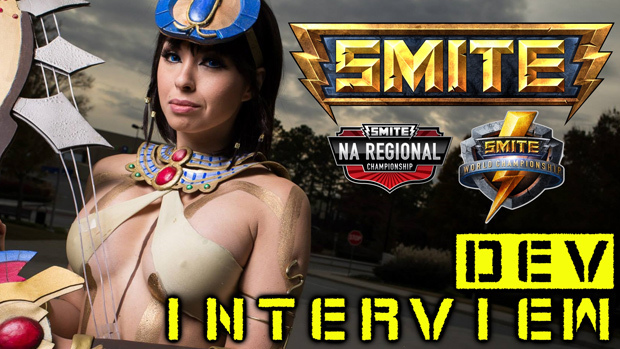 Catch our interview with Hirez's lead designer and then join us in showing community support by telling us what God or Goddess you'd be most excited to see added to SMITE. Entries must include the god name, pantheon, and preferred role you'd like to see their kit built out as. If you have additional ideas you want to share, feel free, but those 3 elements are key to qualify for a Convention Guan Yu raffle set for early next week! We're selecting 8 winners on Monday, December 1st so don't miss your chance to enter! Woops typoed the thread name. Oh well linked too many places now, best to not touch it so no one clicks through a broken hyperlink. Seth is the god who cut Osiris in pieces, he is the god of Chaos, Desert and Foreign land. In smite I would like him to be the god of Desert, with sand based abilities. I think Smite lack variety on the solo lane and it would be so cool to see him with sandstorm or things like that ! Since she's the Goddess of Suicide, she could get buffs from self-inflicted damage with some of her skills, or gain additional effects after taking a certain amount of damage with her passive. An ultimate with which she targets an enemy under a certain health threshold and makes him/her commit suicide, scaring nearby enemies would be pretty cool. And gruesome.